Carly is a specialist Family practitioner whose practice focuses on Public Law Children Act work. Carly undertakes complex cases involving all forms of child abuse including serious non-accidental injury, sexual abuse and Abnormal Illness behaviour, along with cases involving Child Abduction. She receives a broad range of instructions, acting for parents and family members, on behalf of children and Guardians and acts regularly for a number of local authorities. She has also been instructed on behalf of the General Medical Council and CAFCASS Legal. She was involved in the first set of care proceedings where live reporting was permitted. The case was a rehearing of circumstances of the death of a sibling. In 2013 Carly was appointed to sit as an Assistant Coroner in North Northumberland. In 2015 she was appointed to sit as an Assistant Coroner in Newcastle Upon Tyne. As a consequence of her Coronial work, Carly has particular expertise in cases involving fatal and near fatal injuries to children and adults. She has a particular interest in those cases involving complex medical evidence. She regularly appears in cases which require her to call and/or cross-examine medical witnesses and experts, including pathologists, paediatricians and radiologists. Carly has appeared in a number of Court of Appeal cases. She was junior counsel on behalf of the Appellant in Re H-L  EWCA Civ 655, the leading authority on instructing experts in Children Act cases pursuant to Part 25 FPR 2010. Carly has appeared in a number of high profile cases in recent years, attracting a substantial amount of local and national media interest. She has appeared in a number of reported cases involving Reporting Restrictions Orders, including in the Court of Appeal. Carly undertakes work in the Court of Protection on behalf of local authorities, Primary Care Trusts, family members and vulnerable adults through the Official Solicitor. She accepts instructions to advise on related mental health issues, including Deprivation of Liberty. 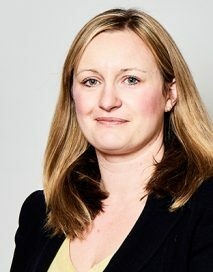 Carly appears as an advocate at inquests and regularly receives instructions to advise and represent local authorities and other agencies in respect of Article 2 inquests. She has particular expertise in inquests involving children and babies who have died, including cases in which Serious Case Reviews are held. In addition, Carly is an Accredited Advocacy Trainer for the North East Circuit and an Approved Pupil Supervisor. Please note that Carly is presently on maternity leave. Cumbria County Council v M & Ors  EWFC 27 (06 May 2016)Appeared as Junior Counsel on behalf of the child in respect of an application brought by the Children’s Guardian under the Inherent Jurisdiction involving a case in which the Father had been found to have killed the child’s younger sibling. Following the fact finding hearing, it transpired that the Police had failed to disclose a piece of evidence which had the potential to require the Court to revisit its decision. Issues of publicity also considered arising from this and the earlier judgment. H-L (A Child), Re  EWCA Civ 655 (13 June 2013) (Court of Appeal) Munby P, McFarlane LJ, Treacy LJ: Appeared as Junior Counsel for the Appellant in an appeal by the mother in care proceedings against the refusal to permit her to instruct three expert medical witnesses. Appeal allowed and guidance given by the President concerning the test for permitting expert evidence to be adduced under r 25.1 of FPR 2010. P (A Child)  EWCA Civ 1648 (18 December 2014) (Court of Appeal) Moore-Bick V-P, King LJ, Tomlinson LJ: Appeared as Junior Counsel for the Respondent local authority in the Father’s appeal against care and placement orders determining whether the accepted inadequacies of the judgment at first instance were such that, notwithstanding the advantage the trial judge had of hearing evidence, the appeal should be allowed. Appeal dismissed. Re W  (Court of Appeal) McFarlane LJ, Macur LJ, King LJ: Appeared as Junior Counsel on behalf of the Appellant. Appeal of Mr Justice Jackson’s order in respect of publicity concerning a fact finding hearing, brought by the Children’s Guardian. This was heard as a matter of urgency on 23 November 2015. The appeal was allowed to the extent that the Court of Appeal required certain further redactions to be made to the 2014 judgment. These were duly made and the resulting document was published on 25 November:  EWHC 4886 (Fam) http://www.bailii.org/ew/cases/EWHC/Fam/2014/4886.html. The Court of Appeal’s reasons are awaited. Re S  (Court of Appeal) Black LJ, Gloucester LJ, Vos LJ: Appeared as Junior Counsel on behalf of the Appellant Father who appealed Care Orders and serious findings of sexual abuse. Concerns children giving evidence in Children Act cases. The Court of Appeal’s decision is awaited. Cumbria County Council v M and F (Fact-Finding No. 1 : Unedited)  EWHC 4886 (Fam) (28 March 2014) Mr Justice Peter Jackson: Appeared as Junior Counsel for the children in the fact finding hearing which concerned the death of Poppi Worthington. F v Cumbria CC & M & Children  Mr Justice Peter Jackson: Appeared on behalf of children in respect of an application to re open a fact finding hearing in respect of the death of Poppi Worthington. On 23 April 2015, Jackson J granted the father’s application for a further hearing:  EWFC 35 http://www.bailii.org/ew/cases/EWFC/HCJ/2015/35.html. F v Cumbria County Council and M (Fact-Finding No. 2). EWHC 14 (Fam) (19 January 2016) Mr Justice Peter Jackson: Appeared on behalf of the children in a further hearing to explore the causation of Poppi Worthington’s injuries, found post mortem. Re M  Mr Justice Hayden: Appeared as Junior Counsel on behalf of the Father in a shaken baby case. Very complex medical evidence and consideration of whether the child’s injuries had an organic explanation as a consequence of the condition BESS. Published judgment to follow. Re M  Mr Justice Peter Jackson: Appeared on behalf of a transgender child. Issues in respect of care, contact and hormone treatment.